A traditional string instrument passed down in Okinawa, Sanshin. 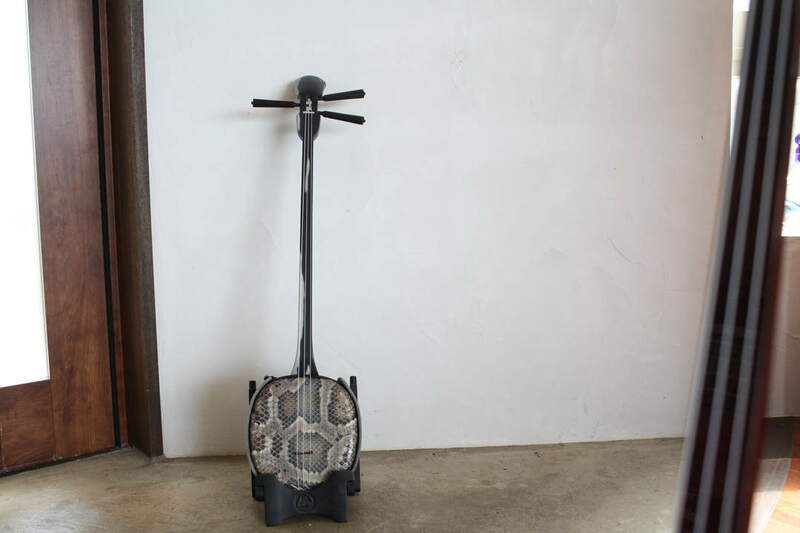 This instrument looks like Shamisen at first glance. I have been practicing the guitar for a long time of 30 years and this is my first experience! From the viewpoint of a guitar player, I will explore the charms of this traditional instrument which has been handed down in the long history. A Sanshin experience school, "ASOVIVA" uniquely developed a good curriculum for those who are familiar with a guitar. 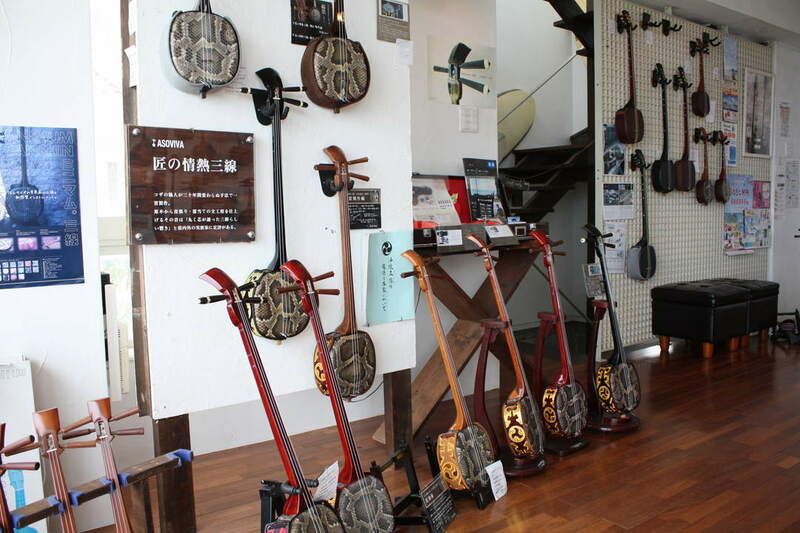 This time, Sanshin experience is supported by a Sanshin specialty shop,"ASOVIVA" located in Nagahama in Nakagami-gun. 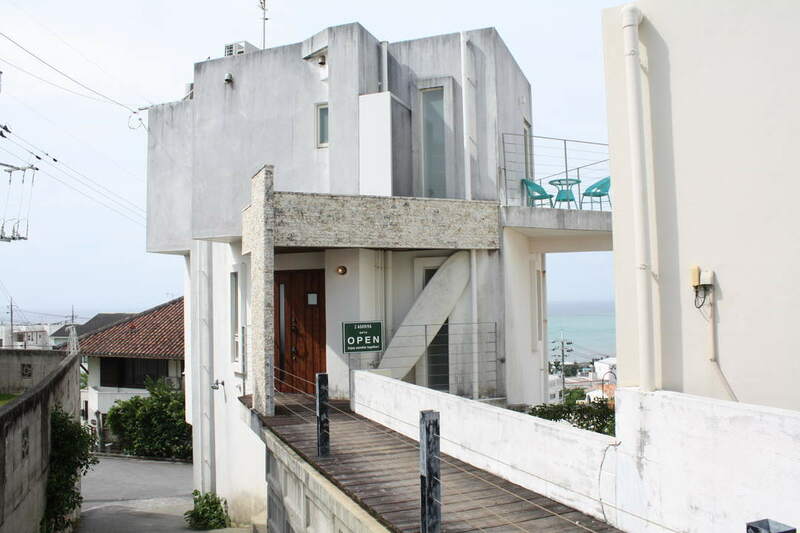 It is a popular spot where you can experience and purchase Sanshin while overlooking the sea from the hill. The secret behind the popularity is that it is an outstanding view spot with the unique lesson curriculums arranged in contemporary style. 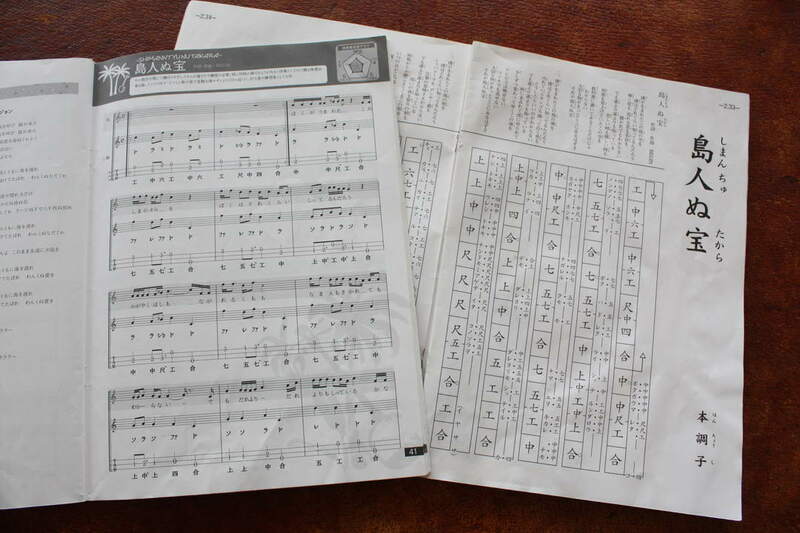 They provide tablature scores for a guitar are used in lessons in addition to traditional Sanshin music scores, and classes to play contemporary pop music so that beginners and foreigners can easily get used to. They have a good reputation because it is very easy to understand! In fact, I have been enjoyed a string instrument called guitar for almost 30 years since I was a teenager .... As a guitar player, I have been very curious about it because it is also a string instrument. So I actually participated in the Sanshin experience on this occasion! 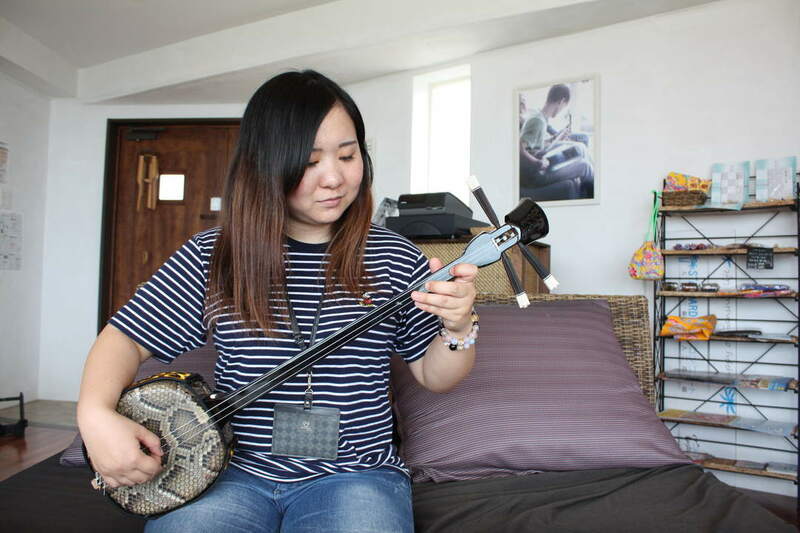 Sanshin is often confused with Shamisen. It is not surprising, according to the most dominant theory, Sangen 三弦 introduced from China became Sanshin 三線 (also written as しゃみせん in Okinawa, sometimes as 三味線 in Amami), constituting the origin of Shamisen 三味線 in the main land. 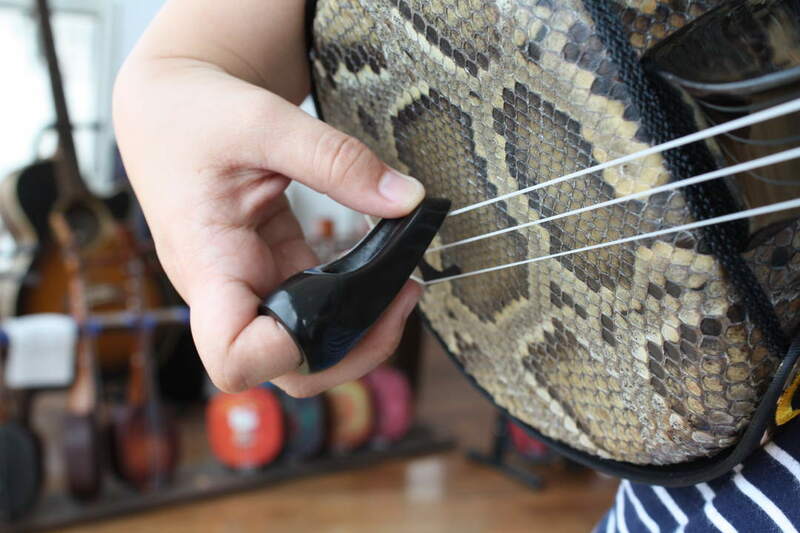 Although their appearances are similar, there are many different parts, for example, Sanshin has a shorter neck (the part where strings are strung), and compact body, and the mainland Shamisen consists of skin of cats and dogs while Sanshin uses snakeskin. 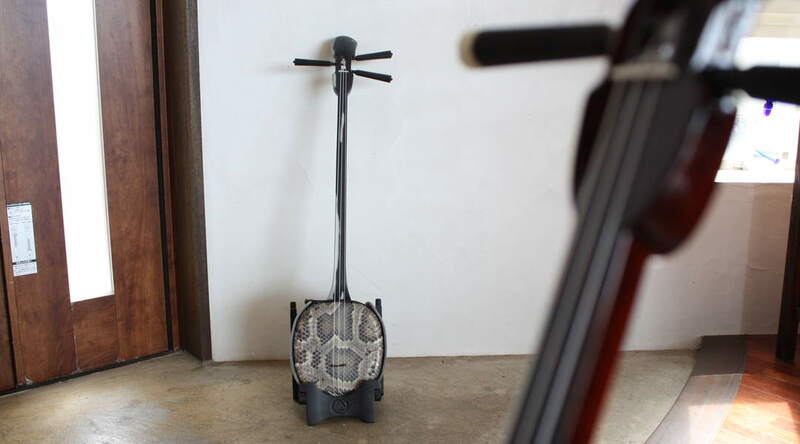 Moreover, the sound has distinction of being a snapping noises instead of weak sustain because the chord length is shorter than that of the Shamisen. Now, it is time for experience. Ms. Maeda who has been enjoying Sanshin since her childhood will teach me. Tomomi Maeda, the teacher of the hands-on class, always had Sanshin at home in her childhood so that she became a Sanshin player herself. She played a little to show how to play, and she was so good as I expected! I was deeply impressed thinking Oh, it’s the sound of that "Shima Uta"! Now then, I will try right away to see what the unique lesson is like. A very important music score for playing instruments. Nothing will start without reading this. However, they use a traditional Sanshin music score called "Kunkunshi", which is written in vertical lines with unique notation of Chinese numerals. First of all, this is difficult, but the score replaced with "tablature" which is often used for guitars is used in this "ASOVIVA". Anyone who has experienced the guitar can find what part of the strings to press at a glance. Of course even those who have never experienced the guitar will get used to it soon because the tabulature music score is easy to read. By the way, "ASOVIVA" originated this tablature music score for instructions because they want overseas people to experience easily. You should remember three points to press( the fret part in a guitar) in the top part of the neck which is mainly used( the part of the fingerboard in a guitar). 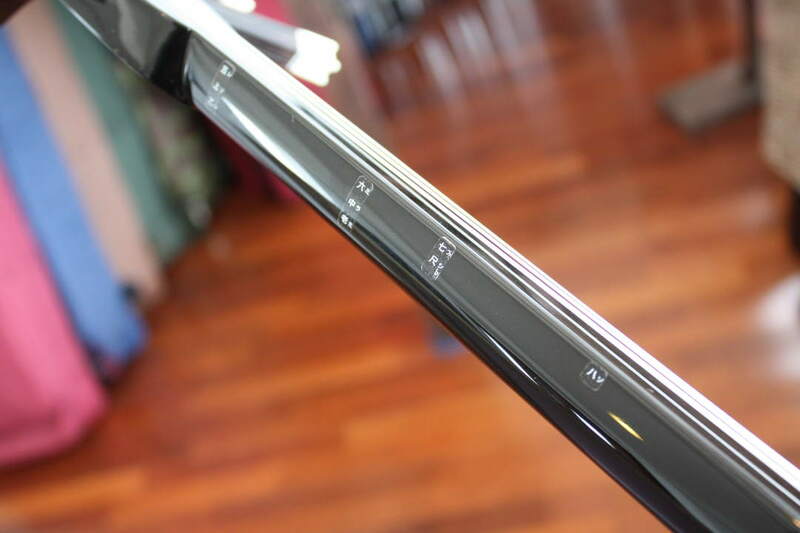 It is easy to see because the neck of Sanshin for experience has labels on it as a guide. They are like the 1st to the 3rd frets of a guitar. The only two of the upper strings and all the three of the remaining strings should be used. 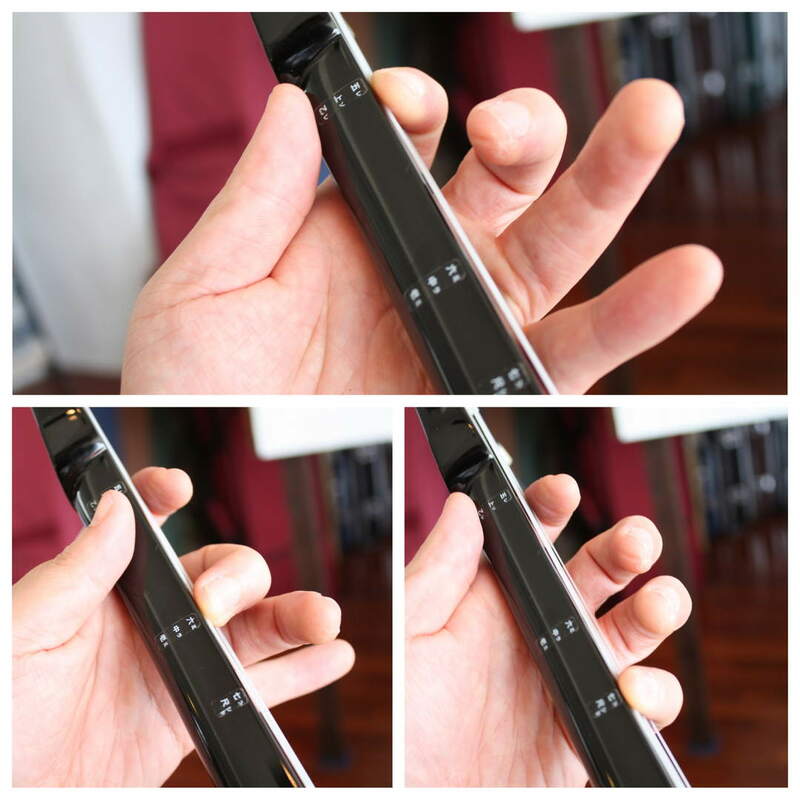 Basically, you should hold the position of the 1st fret with the index finger, the position of the 2nd fret with the middle finger and the position of the 3rd fret with the little finger. By the way, the open string of the top string and the bottom string make the sound of the octave of “C”. If you start from this open string of this top string, you can play sol-fa. By the way, the traditional Ryukyu scale consists of the five tones of CEFGBC excluding “D” and “A” from this western scale. In recent years, it seems that “D” is often added (This is the case with the famous Shima uta ). As for right hand to strum strings, you can play the string directly with the index finger nail or with the special tool called Bachi. The Bachi has a shape to be fitted to the index finger, and some high class items are made with horns of water buffalos, but sometimes made with enamel in recent years. It is basically played in the downstroke manner of swinging down from the top to the bottom. By the way, the teacher played it with the nail, but it seems better to use Bachi to make loud sounds when you aren’t used to it. After learning briefly, I managed to get used to it while playing for some time, although it was tough for me at the beginning. However, the left hand seems to get used without any problems if you have experienced a string instrument, but in fact the right hand side took longer to get used. I thought that it was necessary to practice as much as possible to be able to produce a clear loud sound, because I had to hold a small body with my upper arm while playing with Bachi. Now the trial lesson is over. I was allowed to experience only the point because this was just for an interview, but ASOVIVA has two courses, hands-on classes for beginners and lessons unique to ASOVIVA using POPS and western music without sticking to Okinawa music. Why not choose whichever one you like ? 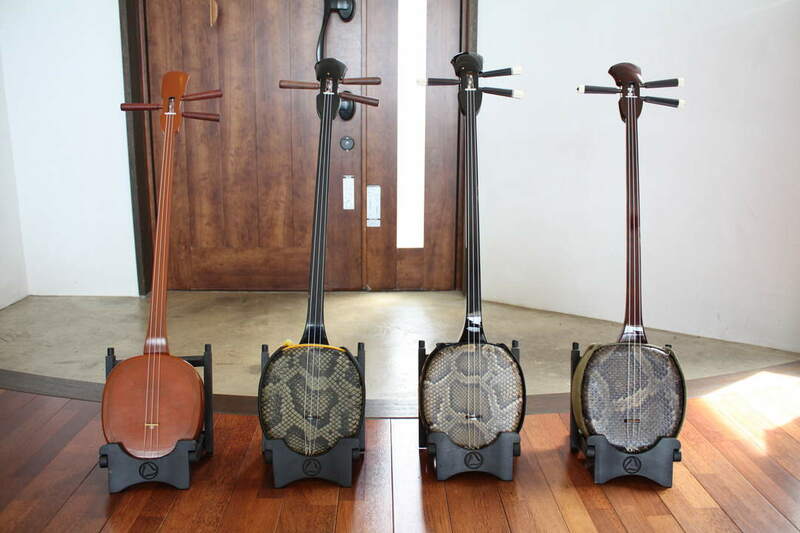 Various Sanshin are sold, from high quality items to those for educational use. Of course ASOVIVA takes care of not only hands-on classes, but also Sanshin sale! 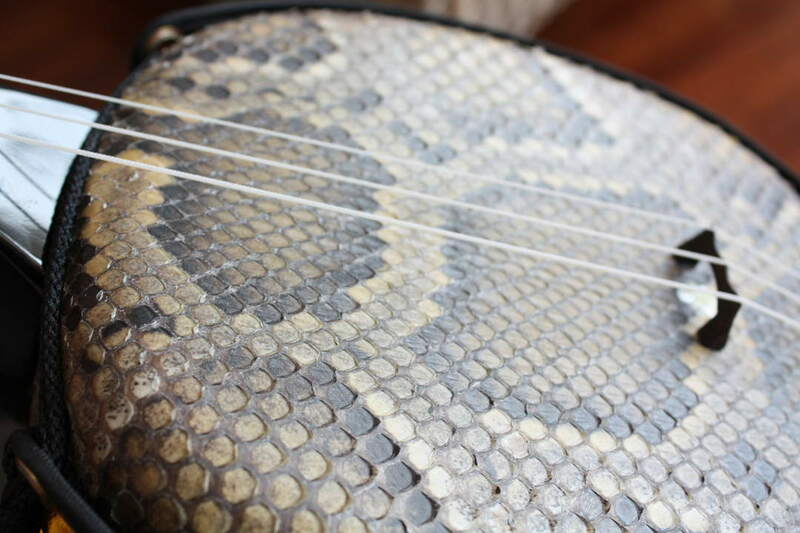 Artificial leather is used for exclusive snakeskin Sanshin produced by an artisan. Reasonable wood Sanshin ( leather parts is also made with wood) is available. It is adopted for school teaching materials and affordable to those who " want to start Sanshin ...". 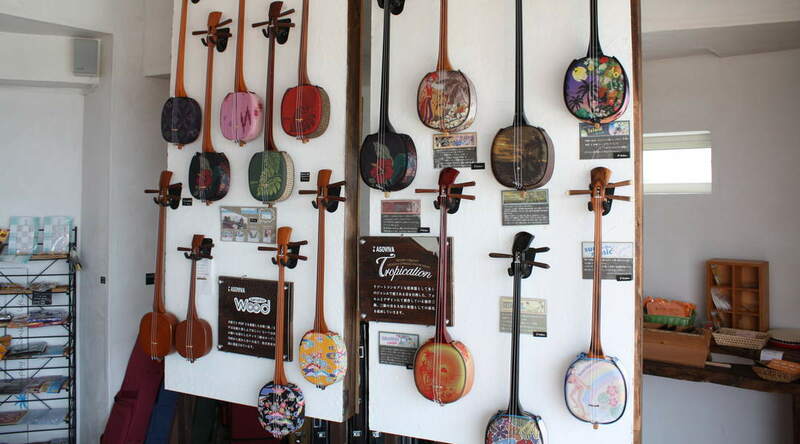 There is also minimum Sanshin in ukulele size, which is perfect for a souvenir. You can visit only to purchase, so if you are interested, you should go there anyway. You may encounter something unexpected.